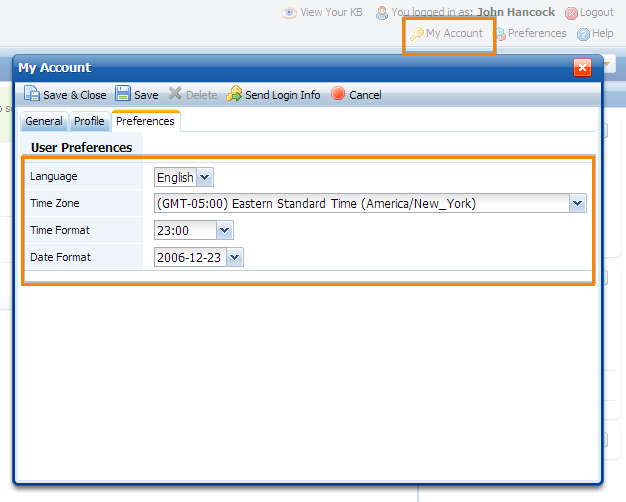 Then select the Preferences tab and click Edit. You'll find the language, time zone, time and date format settings there.After you click Save & Close, it will reload the application and apply the new settings. Make changes and click Save. 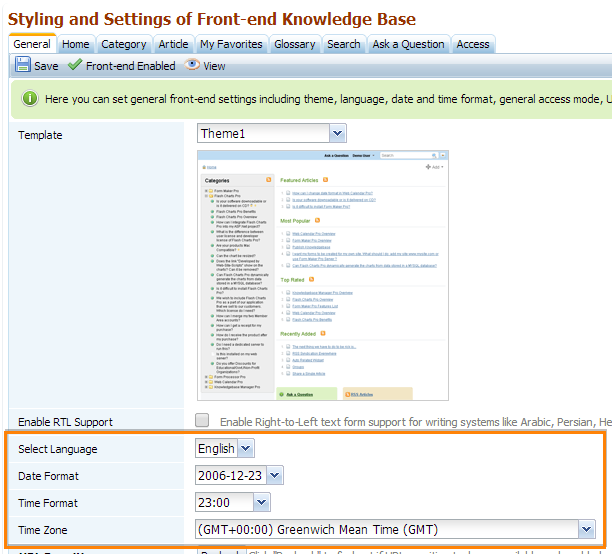 When you are logged in to the knowledge base, your account language preference overrides the front-end language setting. You can also setup the default preferences for all future users.